When I studied abroad in Ireland my junior year, I was shocked to learn that my Irish roommates preferred Budweiser to Guinness. The American import was pissier and more expensive than their native stout, yet none of the lads would be caught in the pub with a Guinness in hand. I chalked this up to the tendency to always want what you haven’t got, and related to their impulse to eschew the familiar for the exotic. This is not necessarily so, however, in Holland, where every fourth bottle of spirits sold is a bottle of genever. I learned this fun little fact from Bols brand ambassador Simon Duff at the Juniperlooza seminar at Tales of the Cocktail, and decided to put this theory to the test by contacting up my good friend Alexander, who hails from Amsterdam. 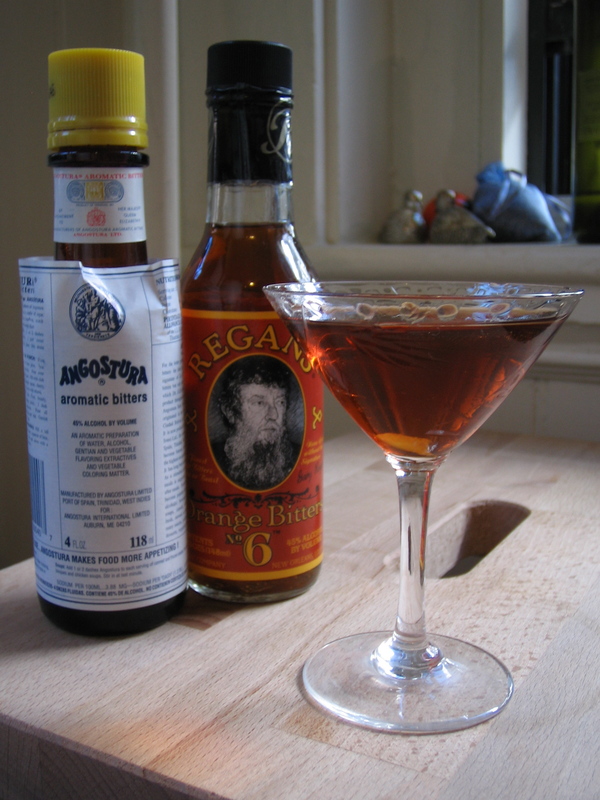 “Do you drink genever at all? Is it popular at home in Holland?” I texted him quite out of the blue last week while working on this week’s Weekly Dig column about different types of gin. “Yes I do! I have a bottle in my freezer! It’s running low. Reminds me of my dad. I only drink it on special occasions…” he responded immediately. So, there you have it folks, straight from the tall Dutchman’s mouth. The stuff is indeed popular in Holland, if impossible to come by in the US. We had a chance to try a small sip of both jonge and oude genever while in New Orleans for Tales of the Cocktail, and sampled it again at a recent meeting chez Bourbon Belle. President Hanky Panky managed to smuggle several bottles back to the states with her on a trip to Amsterdam last spring. The strong juniper flavor inherent in genever makes no bones about being a great-great-great grandparent to the modern dry styles of gin we know and love today. That said, its fuller and gads maltier than the stuff you put in a modern gin and tonic, a totally different gin-drinking experience. It is indeed special stuff, and though the real Dutch spirit is hard to come by in the United States, Genevieve by the San Francisco-based Anchor Distilllery stands in as a delicious take on the product. So here’s the ultimate challenge: get your friends who live in London to smuggle you back some Old Tom Gin and your very own tall Dutchman to return from Holland with a suitcase full of Hollands. Then mix them up in alternating batches of the following cocktail, as Seamus Harris of Bunnyhugs did and reported on here this past June. Cin–cin, or as the Dutch say, Proost! 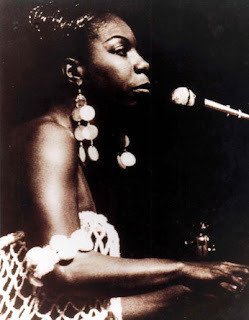 Protest singer, jazz vocalist, pianist, temperamental diva and American civil rights heroine, Nina Simone remains one of the most important musicians in American music history. Born Eunice Kathleen Waymon on February 21 in 1933, Simone started playing the piano at the age of four, and made her concert debut when she was just ten years old. During her recital, her parents were moved to the back of the hall to make room for white people. She refused to play until they were brought back to the front. She wanted to be the first black concert pianist and was one of the first black women to be classically trained at Julliard. 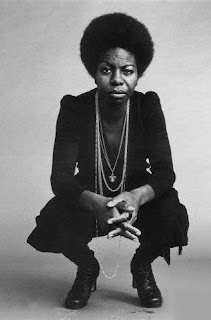 She started playing jazz and pop music in clubs in the mid-1950’s while at Julliard to supplement her income, changing her name to Nina Simone, possibly to protect her classical standing. She never intended to sing, but started when a club manager told her she would lose her job if she didn’t. She became instantly popular, and was known for her inventive style that incorporated jazz, Bach, pop, soul, folk, gospel, and show tunes. She had a majestic onstage presence, and was known for her love/hate relationship with the audience. She sang with such raw power and soul; if you didn’t like it, you could get out. She paid great attention to the musical expression of emotions, and could range from intense highs to melancholy tragedy in a single concert or album. She was diagnosed with bi-polar disorder in the sixties, but it was kept secret until after she died. 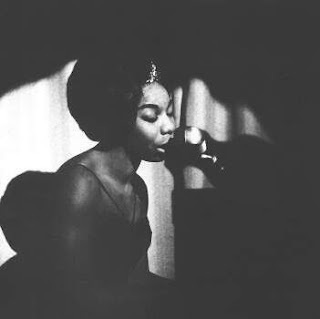 Simone recorded over forty albums over the course of her life, each progressing in artistic control over the next one. She becomes more and more vocal about racial prejudice over the years; after 1964 the civil rights message became standard in her recording repertoire. When you raise a glass to toast the weekend, let’s toss one back for the late, great Nina Simone, whose birthday was yesterday and whose legacy lives on in song! Shake well and strain into a medium glass, add slice of orange and a cherry.